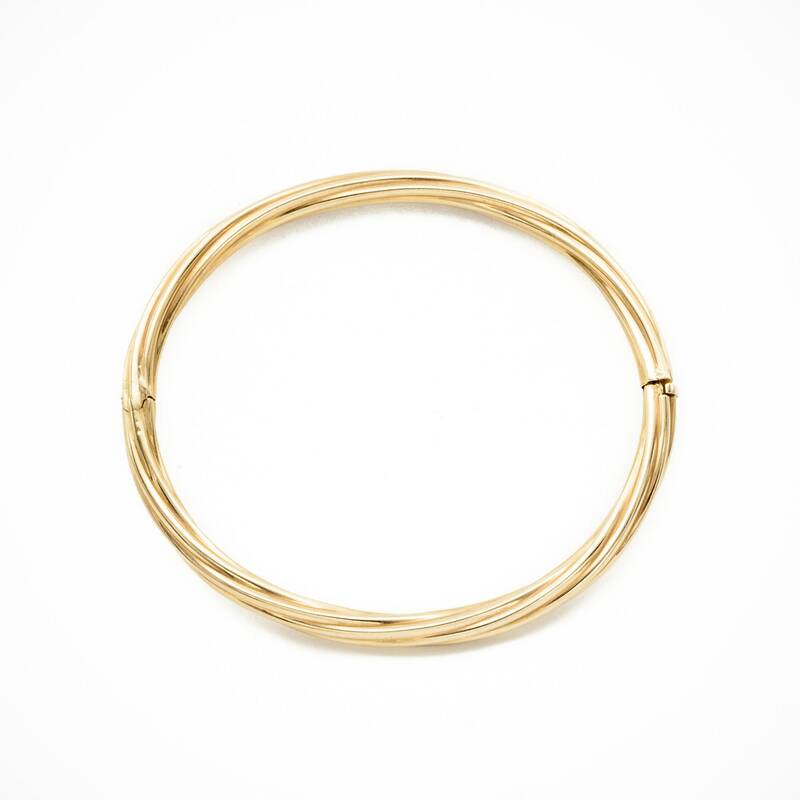 This listing is for one double-catch twisted 14K yellow gold bangle bracelet. 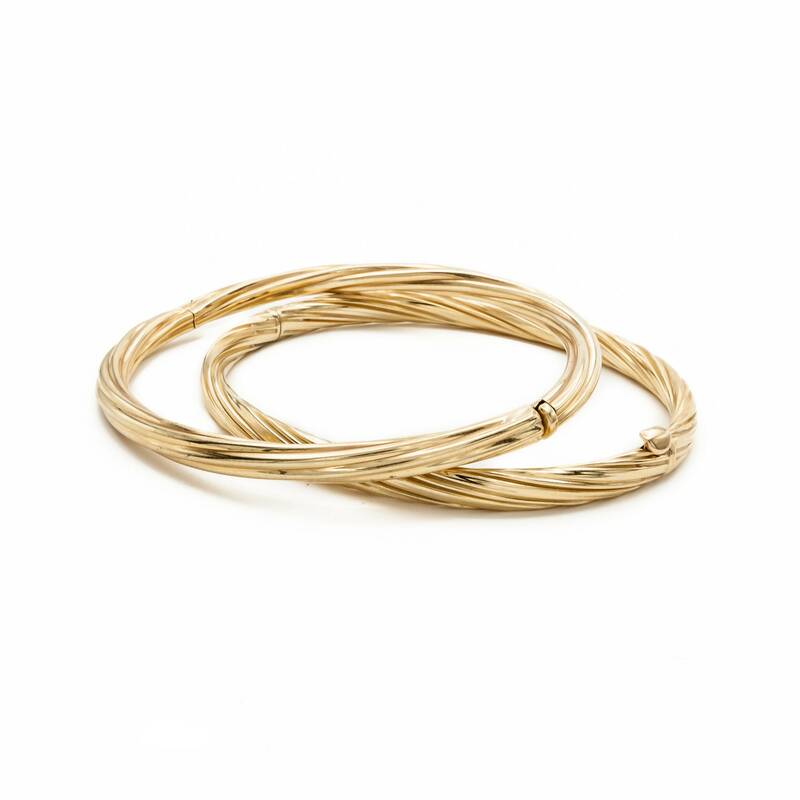 This elegant and classic bangle bracelet in a twist motif boasts a wonderful interior hidden double catch. 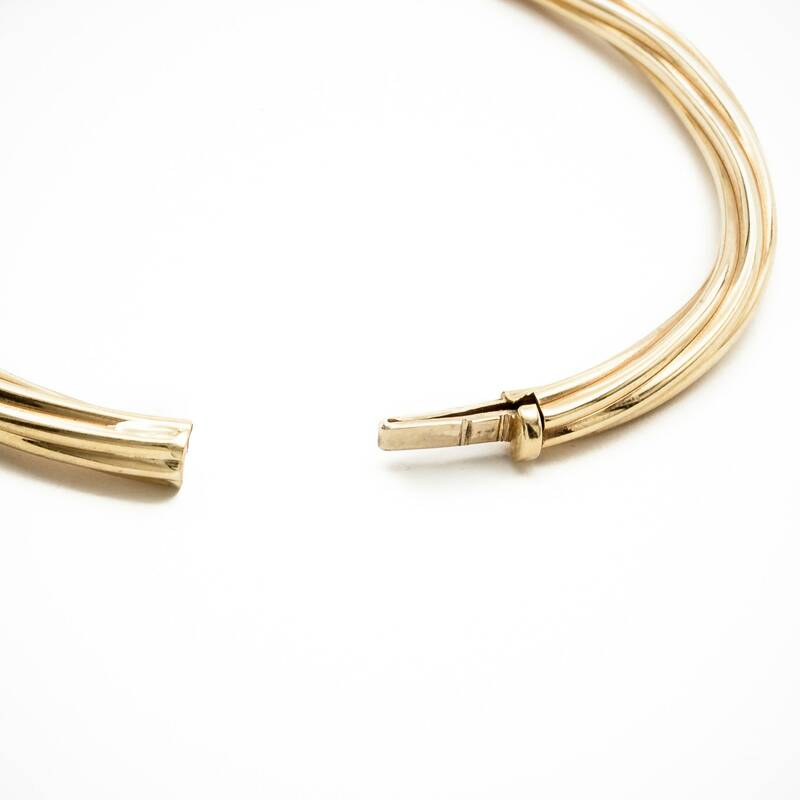 When closed and on the wrist, it is exceptionally secure and enables the wearer to be confident of not losing this beautiful well-made 14K gold bracelet. 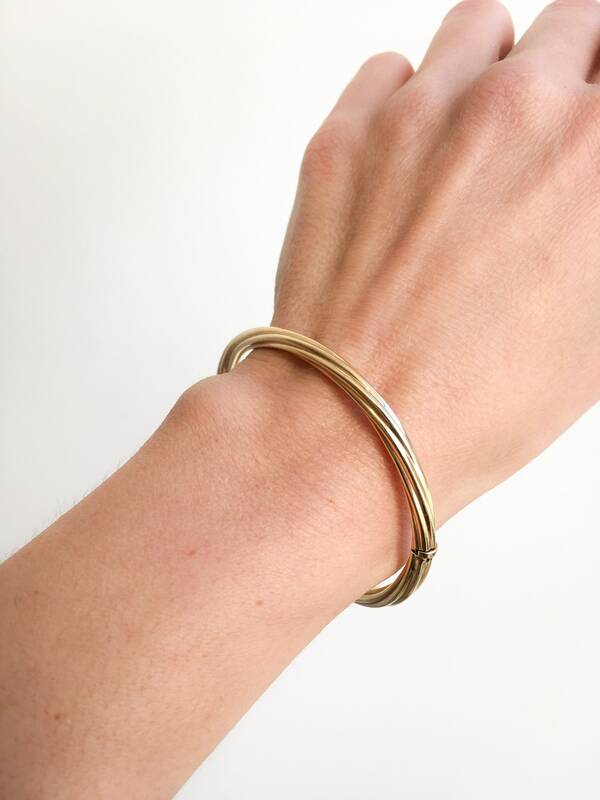 The bracelet is of a substantial weight and with normal daily wear should not dent or scratch. 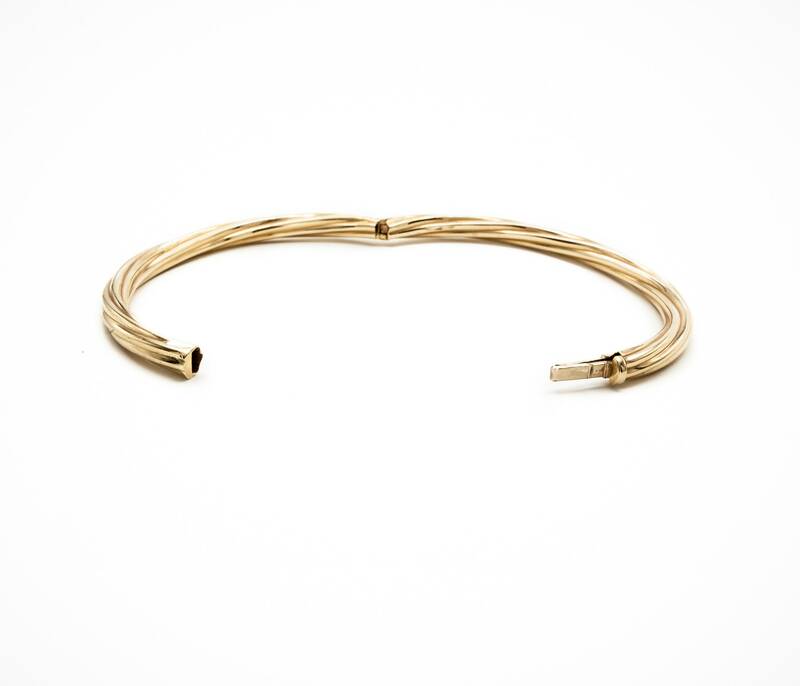 Perfect stacked with your other beautiful bracelets whether they be bangles, loose links, or line bracelets. 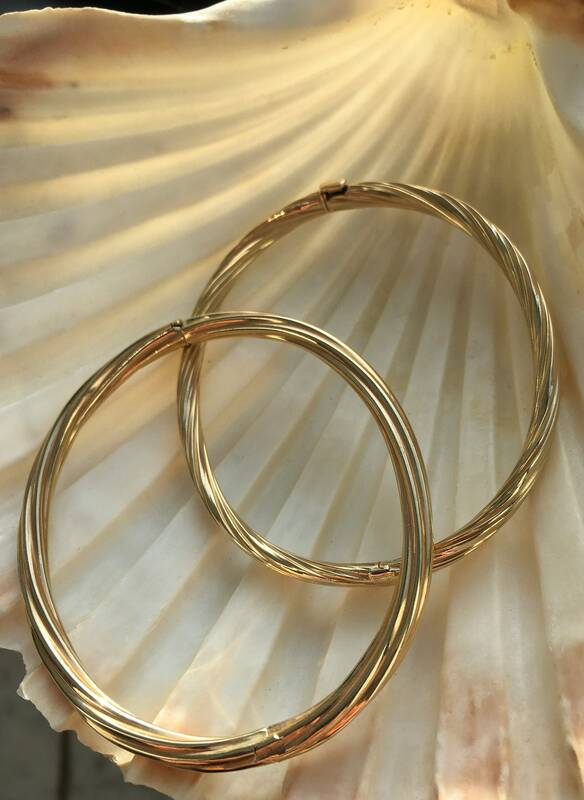 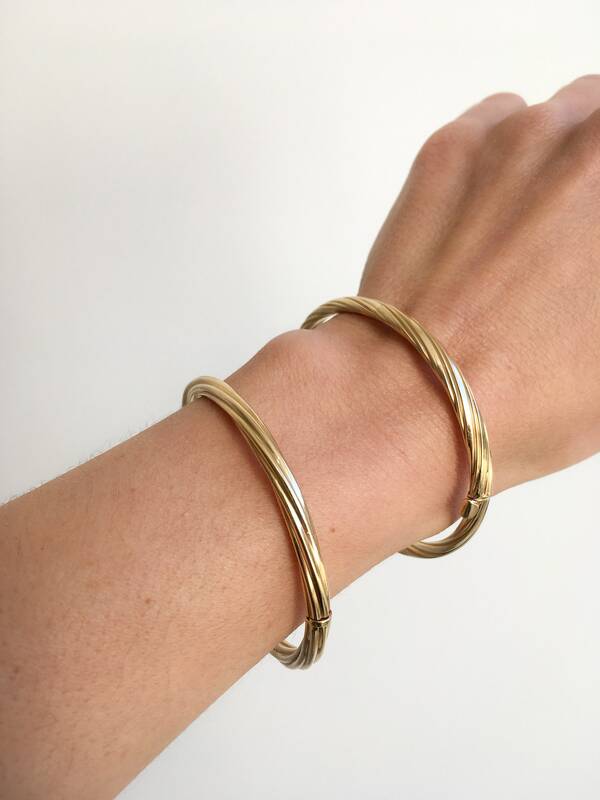 If you would like both twist bangle bracelets pictured, please also purchase our correlating listing of the "Stackable 14K Yellow Gold understated yet elegant Bangle Bracelet with hidden interior safety bar." 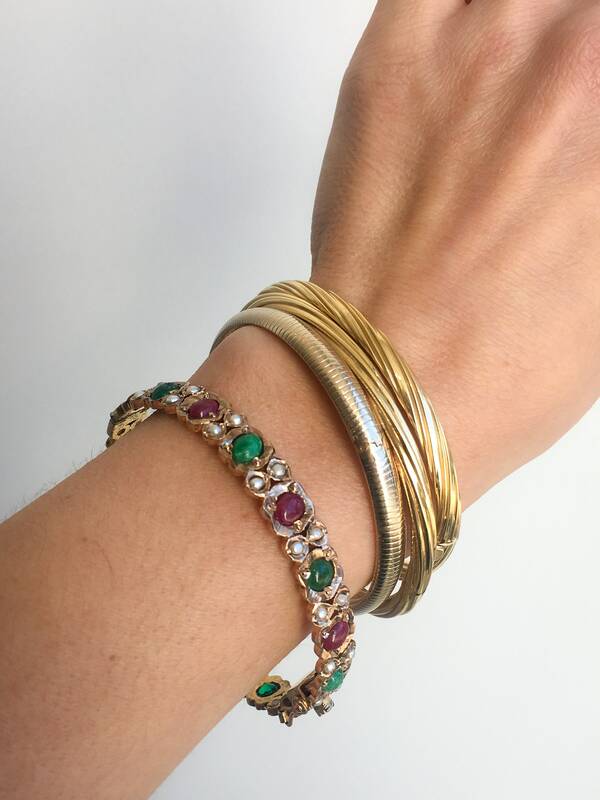 Also pictured: 19th Century Antique Bracelet with Cabochon Rubies, Emerald, and Pearls.